1990 Nissan Skyline GT-R NISMO version. Thanks to Alex and Chris over at Road and Track for featuring my 1990 Nissan Skyline GT-R NISMO version. The car was imported to the US under the Show or Display exemption. Generally under 500 vehicles produced, historically or technologically significant. Nissan made 560 NISMOs, sold 500 to the public. The car is over 21 years old, so it was EPA exempt. Read more from Road and Track here. There should be a video coming up soon. More info on NISMO #500. 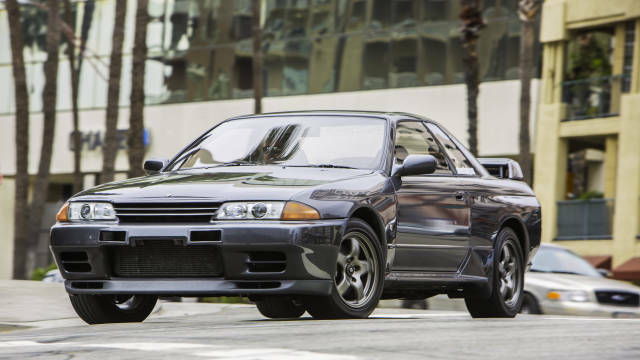 Next is trying to get the 1995 R33 Skyline back included under VCP-32 for importing. Read about that here. If you have any vehicles, that you would like assistance with importing or exporting. Contact me for rates.